Spring delights and surprises me at every turn. I am awoken by birdsong, I hear the whirring buzz of hummingbirds, I see the bright fresh green of the new shoots. 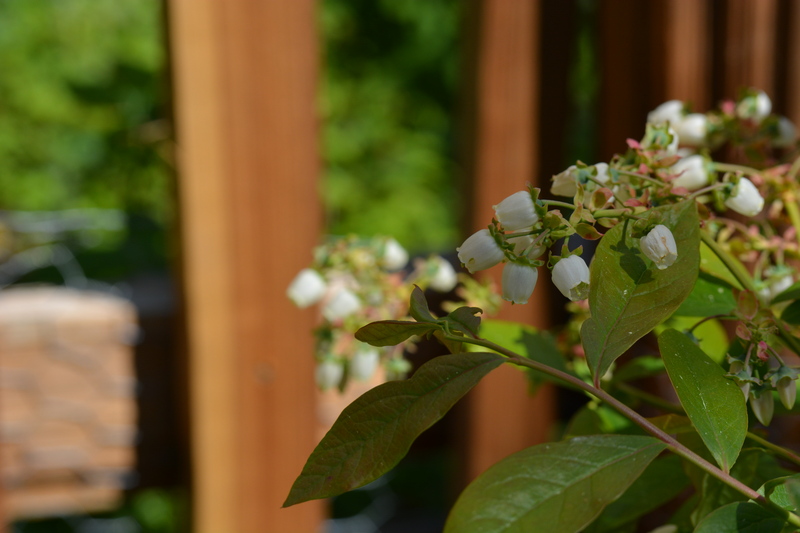 We watch the blueberry blossoms, hoping for a plump sweet berry with every flower. It was almost a year ago that I started to blog about the garden. Since then, so many things have captivated me. It’s been slow, the process of finding the plants, learning which ones to encourage, and which to eliminate. 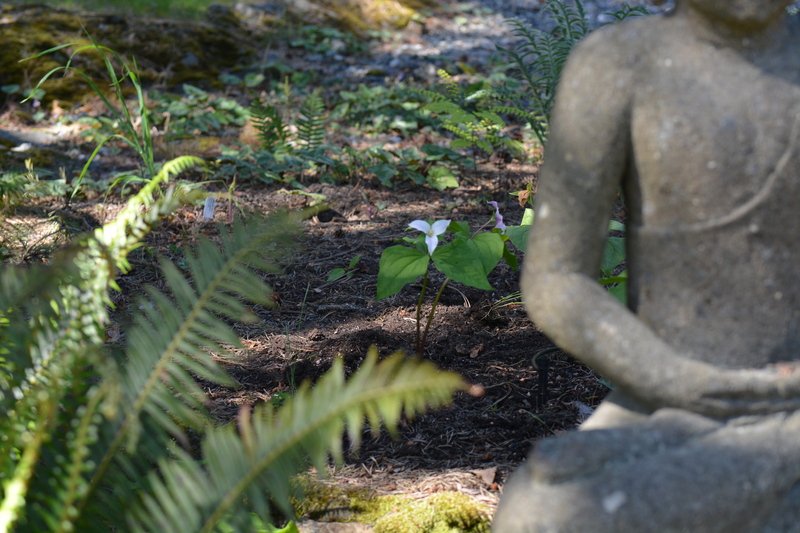 Trilliums behind the Buddha Trilliums up close, note the pink hue on the right. The flowers turn pink then brown and then the petals completely shrivel and fall. 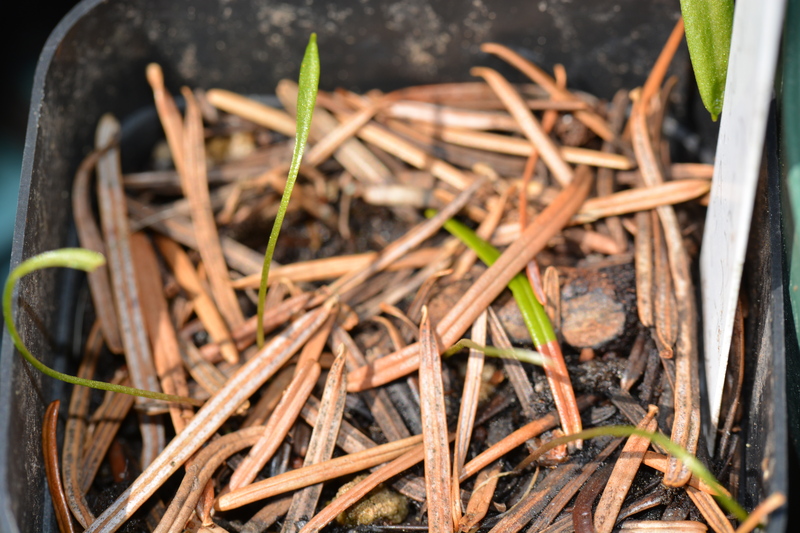 Probably as hard to grow and propagate as the chocolate lily, these graceful woodland plants have their seeds dispersed by ants, a process known as myrmecochory. Nodding onion, last year’s gift from our garden’s Godmother, Nancy Turner, Professor of Ethnobotany. It not only lasted, but is hearty and has 4 buds. 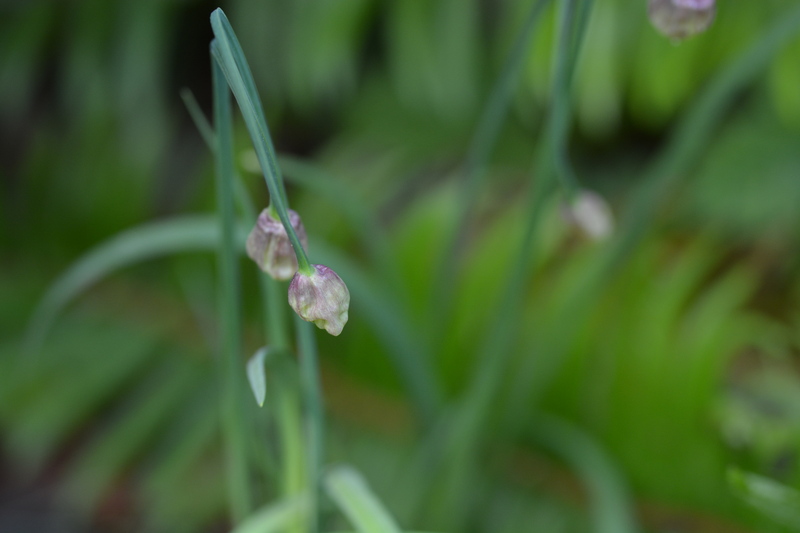 They will emerge pink and will smell like… onion. 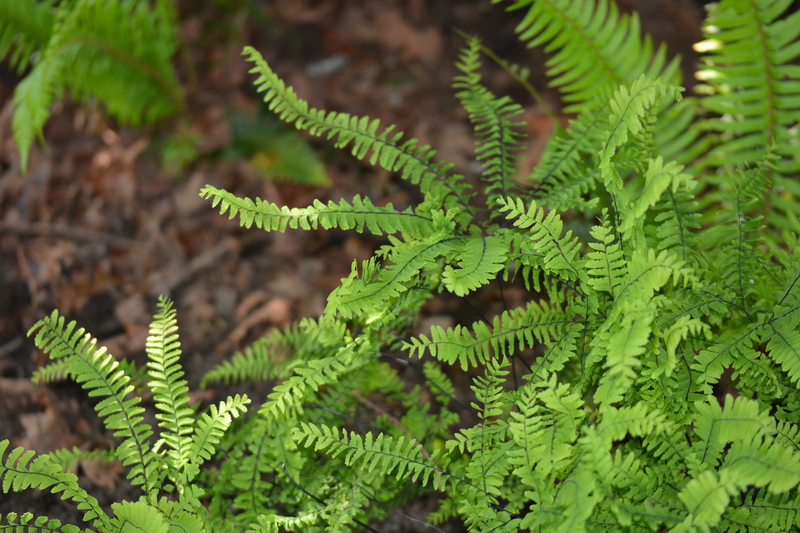 Maidenhair ferns. Like the other ferns in our garden, the fiddle heads come up so innocently. Watching them emerge determinedly a inch every day brings happy confirmation that winter is indeed behind us and the sunny summer will saunter over in her own good time. 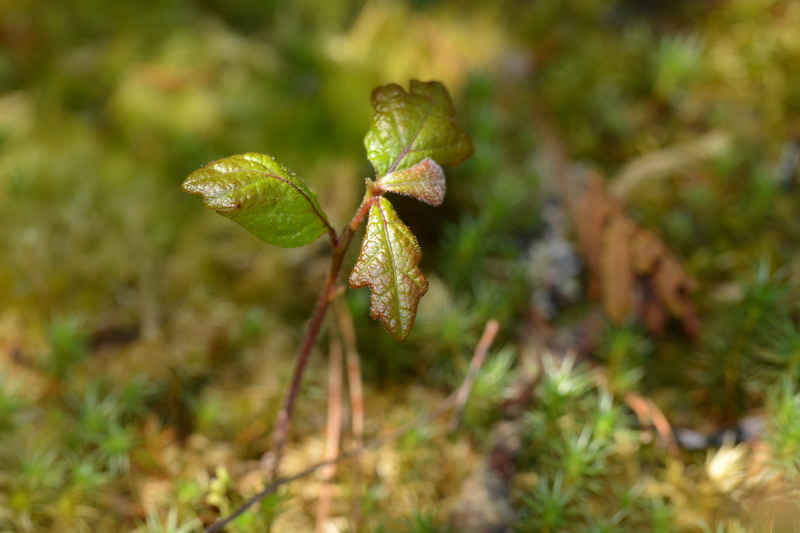 Garry Oak sapling emerging on the mossy rock. 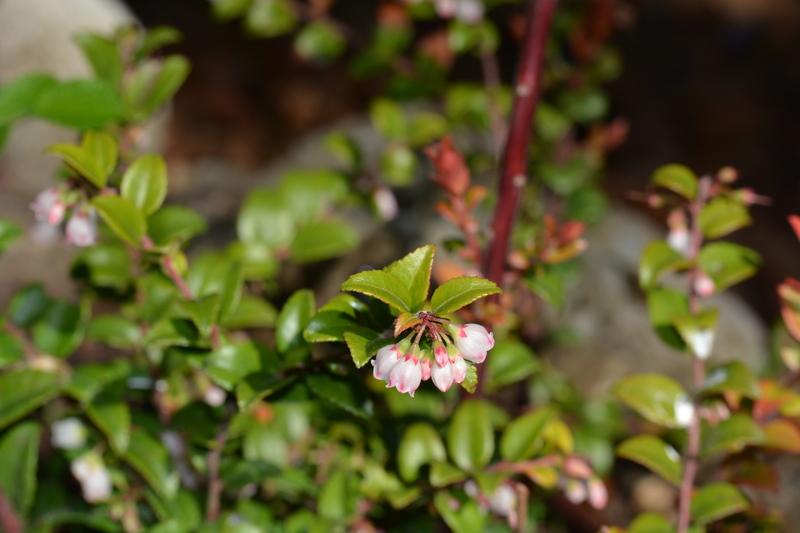 Evergreen huckleberry. Look forward to tasting the berries for the first time. 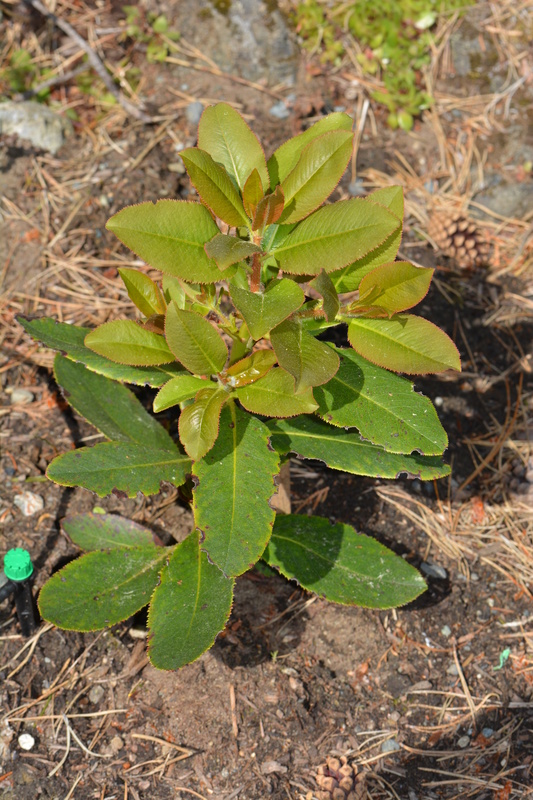 New growth on the arbutus we planted end of last summer. Also known as Madrona. We thought it was a goner, sadly noting the sorry looking leaves. But about a month ago, we spotted a bud, gave thanks and whispered a prayer. This is a woodland strawberry flower. 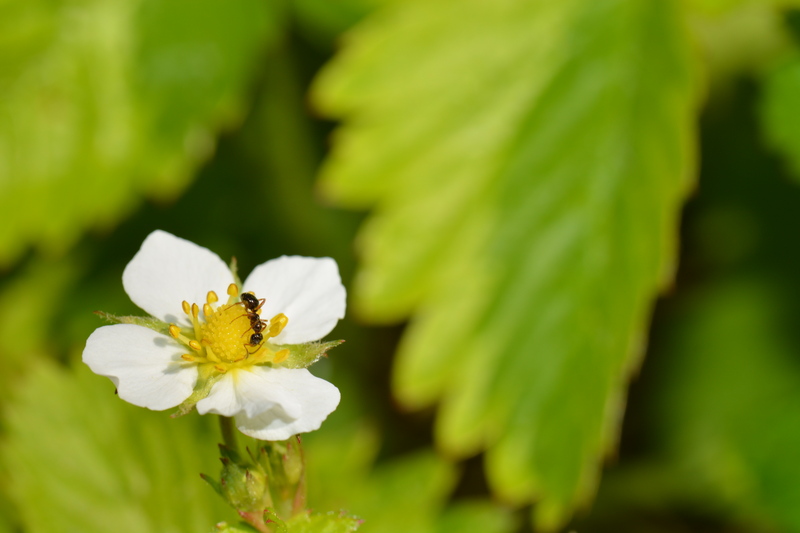 I caught the ant on it and wondered if they pollinate the strawberries – in addition to bees? 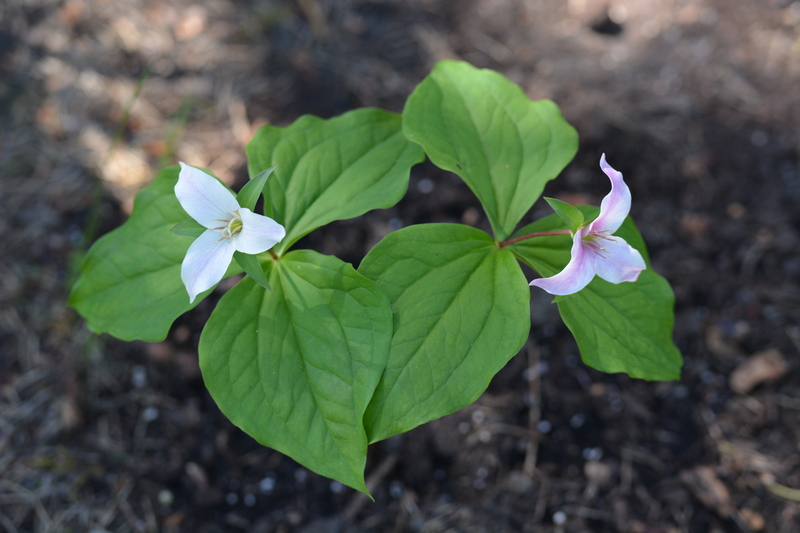 I learned that the ants are important disperses of trilliums. Several wasp species pollinate and some flies too! Blueberry expectation! (note the fence of split cedar- an new and important deer repellent for the backyard berries) Deer ferns framed with the penny farthing’s big wheel. Maybe someone can enlighten me… Is the penny or the farthing bigger? 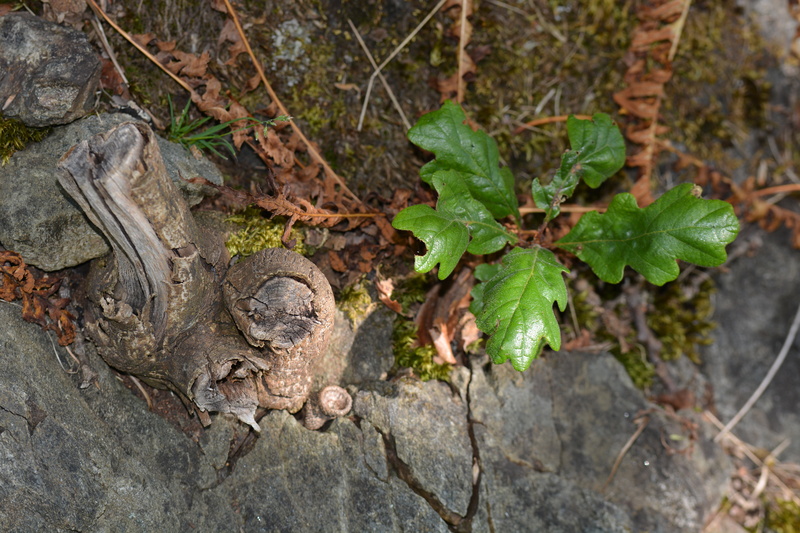 To the left of this garry oak sapling is the stub of a scotch broom. This species is highly invasive and I’m so glad that an oak is taking the place of an invasive and not the other way around. I’m hoping that’s the trick to a thriving native plant garden: take out the invasives, encourage the natives and the pollinators will come. They will then nest in their original habitat and help restore this unique and fragile ecosystem. Oui? 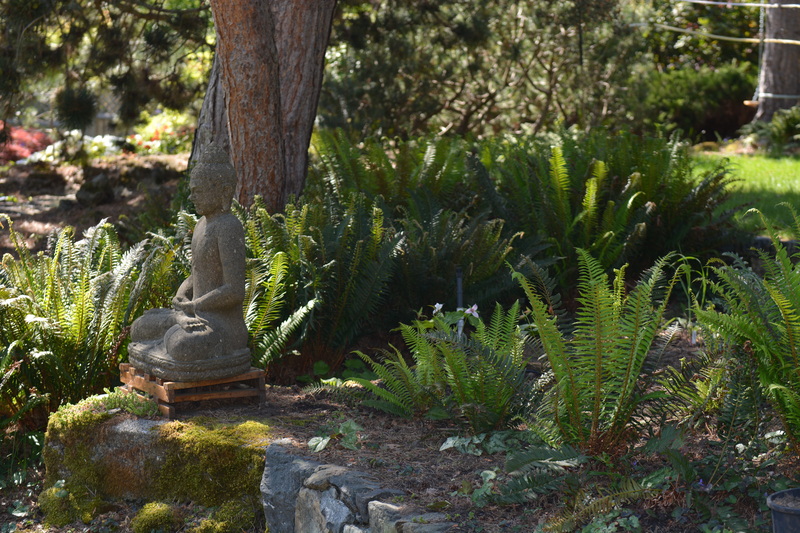 Peaceful Buddha amidst the sword ferns. It’s coming up to 9 pm and it’s still light. The greens and yellows play tricks in this almost twilight. The greens seem more yellow than green and it’s soon dark. I know I will wake up at dawn to birdsong and then hope I’ll go right back to sleep, content that the garden is being pollinated, loved and cherished as a home to countless creatures. Buona notte! This entry was posted in Gardening, The Environment and tagged Arbutus, blueberry, Camas, chocolate lily, Deer ferns, Evergreen huckleberry, Garry Oak, Garry Oak ecosystems, Madrona, maidenhair fern, moss, Native Plant Gardening, Native plants to the Pacific Northwest, nodding onion, sword ferns, Trillium, woodland Strawberry on May 12, 2014 by Gurdeep Stephens.